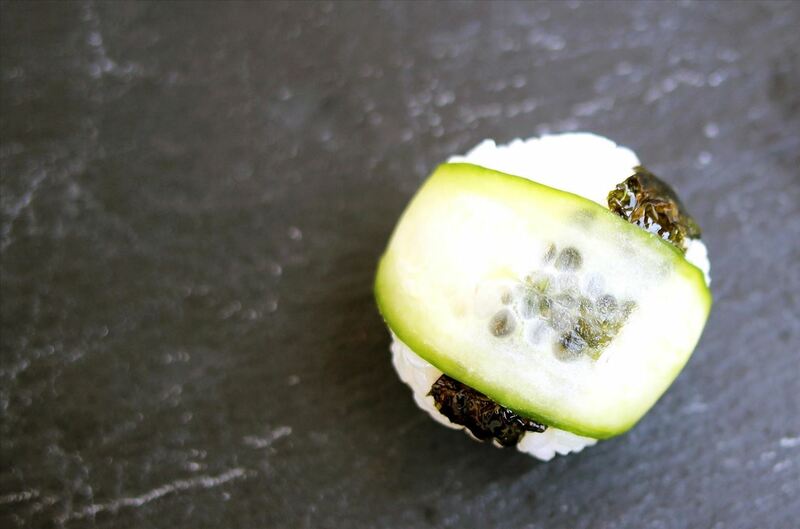 If you've never heard of or eaten temari sushi, then you're in for a treat. 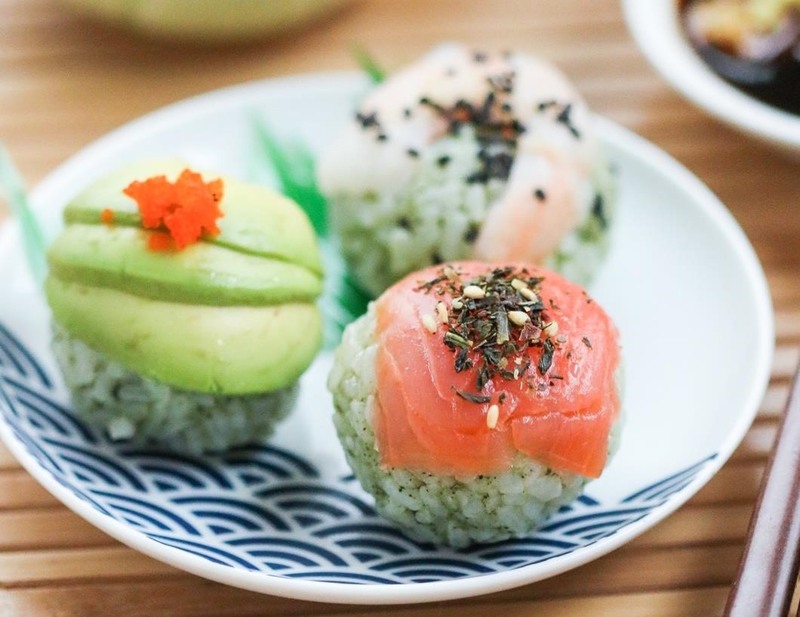 These pretty sushi balls are good for parties and festive gatherings, and even though they are so colorful and striking, they are not hard to make. Just like every other type of sushi, they are customizable, and they have the cute factor necessary for kids or appetizers. 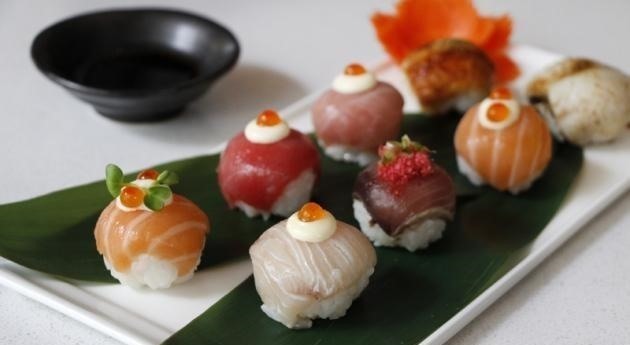 Temari sushi is named after the temari balls that they resemble. 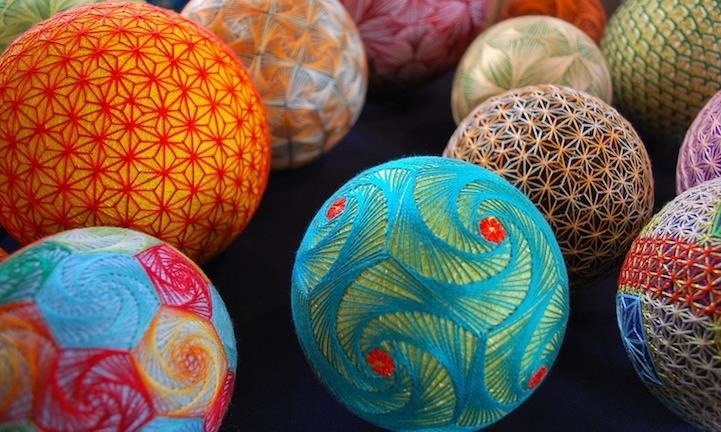 These traditional balls are Japanese toys made out of leftover scraps of kimono fabric. 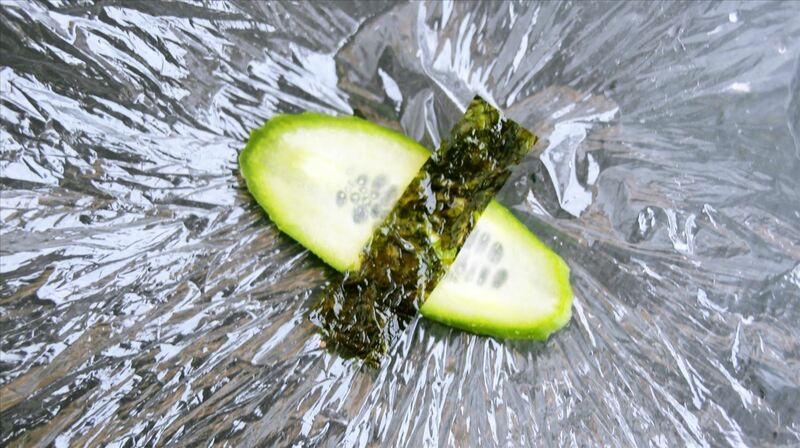 Because of their round shape, it's a lot easier to make temari sushi than other types of sushi. Just remember to pair flavors that go well together and to keep color in mind. Prepare sushi rice. This is a must if you're making temari sushi with seafood or raw fish, but you can adjust this if you're making vegetable sushi, dessert sushi, or another variety. Lay a large square of plastic wrap down on a clean cutting board. If you're layering, then stack the next ingredient(s) onto what will be the outer layer. 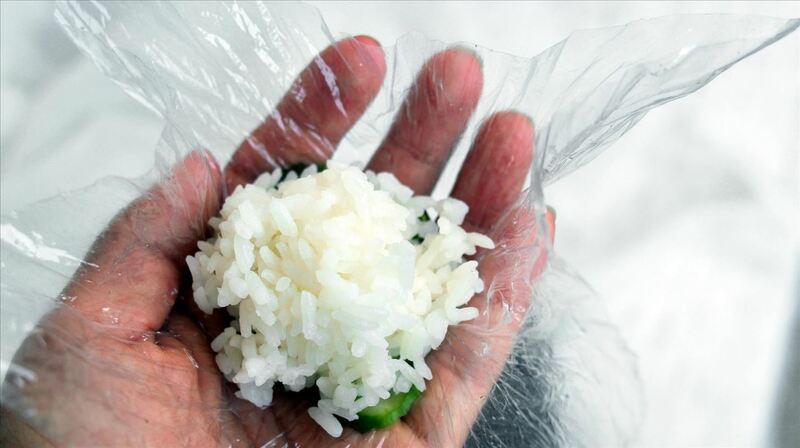 Place rice on top of the toppings, about the size of a ping pong ball. 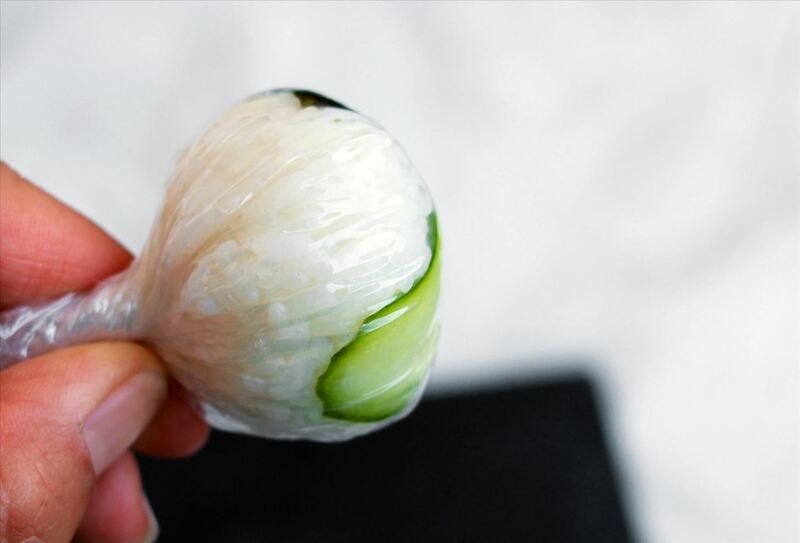 Gather the plastic wrap around the rice and then twist the plastic wrap so that the rice and ingredients become a ball shape. Gently unwrap and garnish as needed. Repeat until finished with rice. My kids sometimes ask for these with smoked salmon and chive cream cheese. In that case, I use more rice since the fish is salty, the cream cheese is rich, and more rice gives a better balance. When I'm making these with thinly sliced sashimi rice or avocado, I sometimes use a little less rice than normal. If you're making a few different varieties, then think of the colors that will be represented in the whole group. 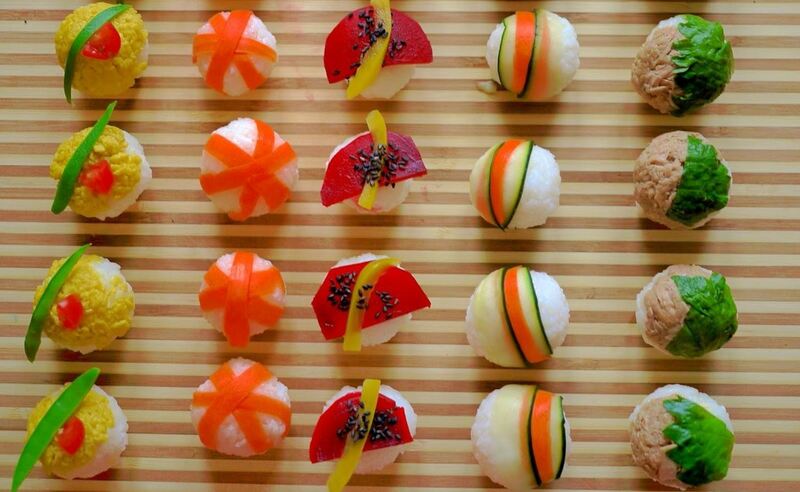 The top of ball-shaped temari sushi is like a blank canvas, so feel free to be as creative and artistic as you can. The temari below was inspired by works by abstract minimalist artists. 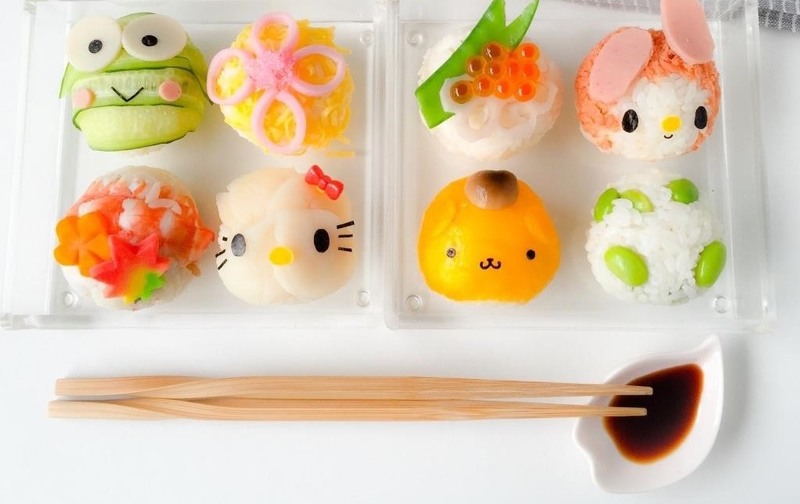 If you're really good with food decorating, then try your hand at making super cute temari sushi like these Sanrio-inspired designs below by Little Miss Bento. Adjust your seasoned rice to your toppings. If you're making temari sushi with cooked meat or fish, then you don't have to make vinegar rice, or you can vary the seasoning with furikake or sesame salt. If you're making dessert temari sushi, then you can make sweet or colored rice like these matcha versions below. 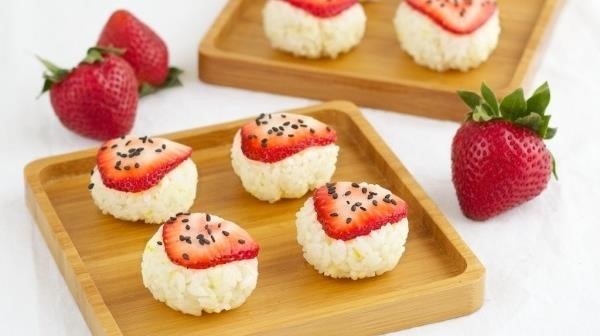 Temari makes for great appetizers, snacks, and meals, but it's also good for dessert. Use thinly sliced strawberry, kiwi, other fruit, or tamagoyaki (sweetened egg omelet) as toppings. Check out the versions from Thyme Bombe below. Now that you've learned how to make temari, master the art of making your own sushi rolls or make heart-shaped sushi for someone you love. If you're in a hurry, you can learn how to make deconstructed sushi with all the flavor and less of the labor.